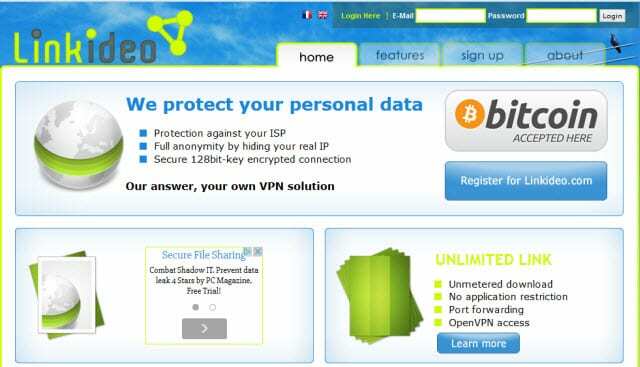 – Linkideo offers VPN access from the United States, France and Netherlands. The service supports both PPTP and OpenVPN connections depending on account type. Speeds range from 512k to unlimited based on plan. Prices range from €2 to €10 a month. For OpenVPN you will want to choose a XL or Unlimited account. – Linkideo does not currently offer a free trial.